Winter has come and so it is time to get on the plane and get out on the piste, but wait! Where should you go, what should you pack and what should you expect? This post offers 10 actionable tips to get the most out of your skiing holiday in 2019. The right location is everything for good skiing. It is important to choose a location that caters to your level of skiing and or the type of skiing you want. Most resorts offer a ski school so if you’re new to the sport you should be able to get the lessons needed to make the most of your holiday. Skiing requires a fair amount of equipment which tends to be on the expensive side especially if this is your first time skiing. Fortunately, there are some good reputable ski hire companies available such as SPORT 2000 rent who can provide you with the best equipment that you will not have to store for most of the year when your holiday ends. 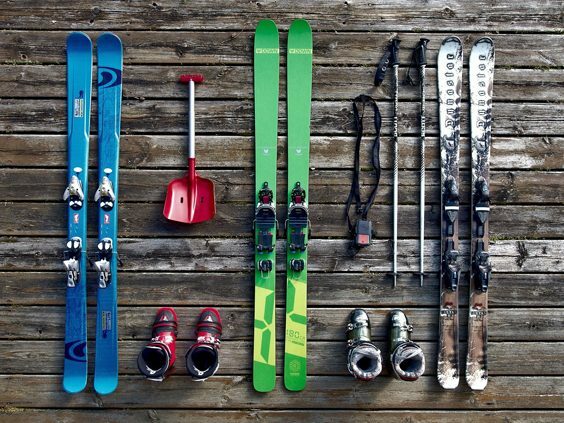 Getting your ski boots right is important. The wrong choice and or fit and you could find your downhill a rather painful experience. As a general rule get the best your budget will allow and ensure they are professionally fitted. Skiing requires a fair amount of gear. Other than your skis and poles clothing tends to consist of warm waterproof clothing and visor. For a full list of essentials, Ski Club Great Britain provides an essential pack list. Layers are the best way to keep warm when skiing and you also have the added advantage of being able to add or remove layers accordingly. Always keep a thermal and not a cotton layer next to your skin. Sounds incredible but the snow will reflect the suns rays which can cause severe tanning and or sunburn. Use a high factor sun cream when out on the slopes. Travel insurance is important for all holidays but particularly important when skiing. Ensure your insurance covers you for winter sports. Slopes are colour coded which reflects their difficulty. Green is the easiest followed by blue, then red, and black is the most difficult. Only take on the colour you are comfortable with, never take on one that is beyond your current level. If you are new to skiing take time to learn the basics. This will serve you well going forward and you will get more out of the sport. Once you have the basics down you will find skiing is very addictive and you will want to get better and better. Many ski resorts are at some of the most spectacular locations in the world. Make sure you build in a few trips to local towns taking a holistic approach to your holiday. The reward will be worth the effort and you will have better memories of your skiing adventures.